Product is available for pre-purchase and scheduled for release on Wednesday 1st of May 2019 (5 days from now). The world is on fire – is humanity doomed? 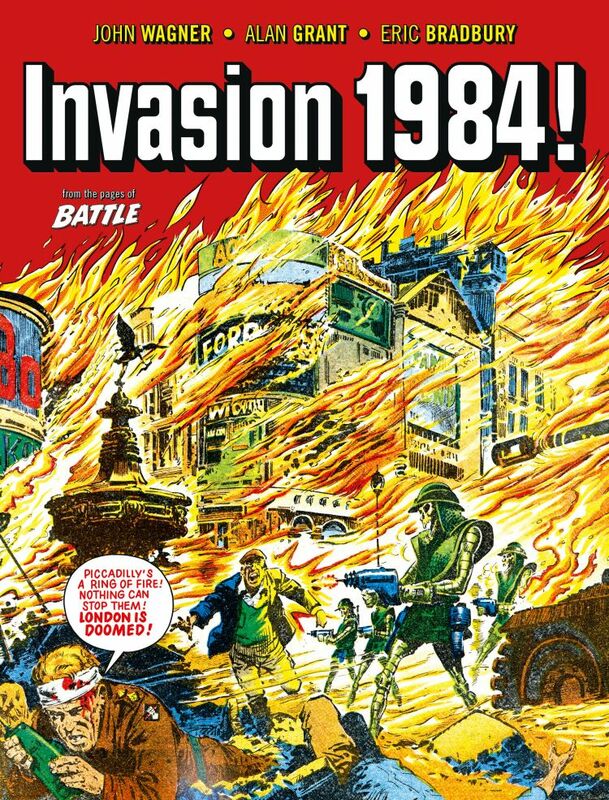 Invasion 1984 is John Wagner, Alan Grant and Eric Bradbury’s classic dystopian alien invasion story from the pages of Battle! Skeletal-looking alien warriors have invaded the Earth, bringing many large cities like London to the brink of total destruction in this British comics’ take on War of the Worlds! Never reprinted outside the original newsstand magazine Battle Picture Weekly, a legendary comic that influenced a generation of creators including Preacher writer Garth Ennis. The story of pluck in the face of alien invasion as combat collides with cosmic terror! This new classic collection from The Treasury of British Comics is ideal for young readers looking for a gritty, over-the-top slice of apocalyptic alien invasion! Skeletal-looking alien warriors have invaded the Earth, bringing many large cities like London to the brink of total destruction in this British comics’ take on War of the Worlds! Never reprinted outside the original newsstand magazine Battle Picture Weekly, a legendary comic that influenced a generation of creators including Garth Ennis (Preacher). The story of pluck in the face of alien invasion as combat collides with cosmic terror!